Hi and welcome to my Kasparov’s Winning Chess Tactics Review. Kasparov’s Winning Chess Tactics was written by US national master Bruce Pandolfini and published by Simon & Schuster Inc. in 1986. Pandolfini is a renowned chess author and teacher, having taught tens of thousands of student and written a multitude of chess books. This book is like a chess puzzle book with more in-depth explanations of all the positions. There are 140 chess positions all from Kasparov’s actual games. Each puzzle comes with a big diagram taking half the page with an analysis comprising of the rest of the page. There is also a bit of a biographical introduction on each game puzzle helping you follow Kasparov’s career progress. The book follows Kasparov’s games in chronological order. It starts out in his childhood and follows his career until 1983. The puzzles are of great quality, most likely due to the quality of Kasporov’s games. You actually get to see how Kasparov thinks and moves in hard tactical positions. The book covers a lot of different tactics. You can easily put it down and continue reading it later. It gives you a little hint of what to expect in the various puzzles. I found the book fun to go through as well as very instructive, especially when it comes to complicated tactical puzzles. There is also a Kasparov chess test near the end that was fun to take. In conclusion I would definitely recommend this book if you are looking for some very instructive tactical puzzles. I would also recommend this book if you are a fan of Kasparov. Together Kasparov and Pandolfini do a good job writing a constructive teaching tool. This book makes it easier to read the various challenging subjects. Thanks for reading and I hope you have enjoyed my Kasparov’s Winning Chess Tactics Review. Hi and welcome to my Bobby Fischer Profile of a Prodigy review. Profile of a Prodigy, the life and games of Bobby Fischer was written by Frank Brady and published in 1965 by Tartan Books. You will find two main sections. The first part explores the life of Bobby Fischer from early on to his later career. The second part dives into 75 of Fischer’s most important games starting from when he was just 12 years old. The first half of the book contains a whole lot of information about Bobby Fischer’s life. Learn how he got started in chess, his chess training, his early tournament games, his eventual success in chess, his eccentric behavior, his family, friends, mentors and teachers. I found it quite interesting to see so much detail about Bobby’s personal life and chess development. The book follows his career with all the excitement and controversy that is was back then. Frank Brady did a good job of covering all the bases and I feel he was able to show how Bobby Fischer truly was like in his youth and young adult years. In the second half of the book you will find 75 of Bobby Fischer’s most important tournament games. All the game annotations include a diagram or two per game. The quality of the games and the annotations are very good. It is always a pleasure to watch one of Bobby Fischer’s games. The games are all in chronological order. There are quite a few interesting games in the mix. In conclusion, I would not necessarily recommend this book unless you are a big fan of Bobby Fisher. The first half is an enjoying read and the book is a great biography with a positive spin on Fischer. The games are quite instructive but I do wish there was a few more diagrams . This is a hybrid book of a biography and game annotations and would have probably been best as two different books. Thanks for reading and I hope you have enjoyed my Bobby Fischer Profile of a Prodigy review. Hi and welcome to my Fischer vs Spassky review. This book was written and Annotated by Grandmaster Svetozar Gligoric and published by Simon and Schuster in 1972. This book contains the games and facts surrounding the most famous world championship match in chess history. You will find all the games of this historic match with commentaries and Annotations by grandmaster Svetozar Gilgoric. Millions of people from around the world watched this world championship match on TV, radio and newspapers. Because of the cold war and this was the US vs Russia, it was both front page and prime time news. This book will give you an insider look at the games and at all the events surrounding each game. There was a lot of controversy about Bobby Fischer during that time. People around the world wondered if he would ever show up for the game. All the news and controversy made the match even more famous and made even more people watch then there normally would have been. I enjoyed reading the controversies as well as going over all the high quality games. The explanation of each game will give you context and the games are superbly annotated. Fischer vs Spassky contains a few diagrams for each game to help guide you. There are 21 games in total in this book, from the first game of the match to the last. In conclusion, I would say that this is a pretty old book with great content of the match of the century. You will have a really good overview of the games and the history of this match. I would recommend this book if you are looking for quality games as well as quality annotations. I would also recommend this book if you are looking to read about the history of this event. Thanks for reading and I hope that you have enjoyed my Fischer vs Spassky review. Hi and welcome to Anatoly Karpov’s My Best Games Review. This book was written by Anatoly Karpov and translated by Ken Neat and Brian Ings. My Best Games was also edited by grandmaster Victor Korchnoi, grandmaster Helmut Pfleger, grandmaster Nigel Short and grandmaster Rudolf Teschner. This book also includes a forward by Igor Zaitsey and includes a pen sketch by Raymund Stoize. You will find in this book 100 of Anatoly Karpov’s best games from 1968 all the way to 2003. The game annotations are by Anatoly Karporv with a few edits by well-known grandmasters like Short and Korchnoi. The games follow in chronological order of Karpov’s career. Karpov bacame the world chess champion when Bobby Fischer did not defend his title. Karpov may have won the world championship by default but the quality of his play is still of the highest caliber. There are numerous chess diagrams to help you follow the games. Karpov is able to gain a small advantage in a chess game and keep it for the remainder of the game. This is quite clear and interesting when you start going over his games. The games start a few years before he was a world champion and then transitioning to the world champion. You will notice that Karpov had very early success and kept succeeding throw-out his career. A section devoted to Karpov vs Kasparov has many interesting games. In conclusion, I would say that Anatoly Karpov’s My Best games is very instructive. I find it interesting to go through Karpov career games from start to finish. This book is for mostly intermediate and strong chess players. I would recommend this book to anyone who is looking for high quality annotated games, fans of Karpov or fans of Russian chess in general. Thanks for reading and I hope you enjoyed my Anatoly Karpov ‘s My Best Games Review. Hi and welcome to my A Fresh Look at Chess Review. This book was written by International Grandmaster Lev Alburt. Lev Albert is a 3 time US champion and former European Champion. This book is composed of 40 games played and annotated by amateur players with comments from Lev Alburt. The games included in this book are very interesting and can serve as a good learning tool. Lev believes that you can learn a bit more from amateur games than games played by grandmasters. Its true that amateurs make a bit more mistakes and therefore makes them a better learning tool. Its nice as well to have them commentated by different amateur players to give you slightly different perspective. Not to worry, Lev Alburt is there to make sure that the annotations are good and will comment where needed. The chess games are in order of theme. For example there are games that focus on the opening, sacrifices, traps, attack, defense, tactics and strategy. Near the end of the book, there is a section on kid’s games which is very interesting. The last chapters focus on the endgame and time controls. A fresh Look at Chess offers multiple diagrams for every game to help you follow from start to finish. The comments and annotations are good and instructive. I do believe that the book succeeded to bringing a fresh look at chess. The book might only contain 40 games but are full of useful tidbits of chess knowledge. In conclusion, I would not necessarily recommend this book but it is a fun and makes it easy to learn. It’s not groundbreaking in any way but intermediate players can certainly learn something from it. Lev Alburt does deliver an interesting chess book with different perspectives. Thanks for reading and I hope you have enjoyed my A Fresh Look at Chess Review. Hi and welcome to my Advanced Chess review. This book will introduce you to the rules, skills and strategic play. Advanced Chess was written by John Saunders and published by southwater. This book is exceptional with over 300 colored illustrations of practical photographs and artwork. The illustrations are great photographs of people playing chess as well as step by step guides to every lesson. The content of the pages look clean. Advanced Chess is perfect for any visual learner. This book really looks visually stunning and makes for a very fun and easy read. The pages are also on glossy paper which is awesome. This book has 4 chapters. The first chapter covers different subjects and is a general overview of the game. Some of the lessons included in the first chapter are; Intermediate opening strategies, Ruy Lopez, The Sicilian Defense, The Nimzo – Indian Defense, Flank openings, calculating, planning, attacking chess, sacrifices, defense, king safety, maximizing piece power, exchanges, tactical parterns and endgames. Chapter 2 is about computers in chess in various ways. It talks about choosing the correct program to play against. It also includes Kasparov vs computers as well as on line chess. The third chapter covers the history of chess. You will also find chess champions, clocks and the different speeds of chess. In the final chapter it covers mostly studying chess. Teaching yourself, competitions in addition to ways to improve you game. In conclusion, I would recommend Advanced chess to beginners who want to learn even more advanced lessons. This book is great especially if you enjoy learning visually. The quality of the book in addition to the lessons make this book a joy to learn chess. It is a very good compliment to Teach Yourself Visually Chess. This book is for those who like to learn with illustrations in addition to a step by step guide. Thank you for reading and I hope you enjoyed my Advanced Chess review. Hi and welcome to my 1000 Checkmate Combinations Review. This book was written by Victor Henkin and first published by Batsford in 2011. This book is a series of checkmate combinations puzzles with explanations, diagrams and solutions. Have you ever missed a checkmate in your chess games? If so this book could be the solution for you to never missing a checkmate again. I find this book is presented in a well organized fashion. There is a nice introduction to each chapters and at times some background to the different puzzles. Students can find the checkmate combinations well organized by piece combinations. You get checkmate with pawns, rooks, queen, queen and rook, queen and bishop, knight and rook, etc. I do believe that finding checkmates in a game is one of my best strengths. I probably build that strength by doing many checkmate puzzles. That said, I did find these puzzles challenging enough with some checkmates I had never seen before. 1000 Checkmate Combination was fun to go trough. It seemed effortless to lean a lot of information quickly. I have to say that I have read this book more than once already and now have a goal of memorizing every single checkmate in this book. I usually flag a puzzle that I can’t solve quickly or easily and go over to again a few more times. This book was quite helpful in helping me find checkmates in games easily because I studied it a lot. Not necessarily the exact checkmates found in this book but often checkmates that are of a same theme. In conclusion I would definitely recommend this book to anyone who loves chess, especially if you are looking to improve your endgame. Though more suitable for intermediate players, it certainly can be for beginners and strong players as well. Thank you for reading my 1000 Checkmates Combination review. Hi and welcome to my Kasparov Teaches Chess Review. Written by world chess champion Gary Kasparov and first published in 1984. This is a rather small chess book with just over 100 pages yet full of useful information. This book is a good example of not judging a book by its cover. I bought a used version published by B.T Batsford Ltd in 1986. The book has a black and white cover with a florescent green title. The book seemed old with plain text and black & white chess diagrams. It was written by Garry Kasparov so I figured it couldn’t be that bad, that the content must be good. and I wasn’t disappointed at all. The knowledge contained in this book is of the highest quality because of the knowledge of the author. This book is for intermediate and strongchess players. The books have many varying subjects yet should contain a little something for everyone. 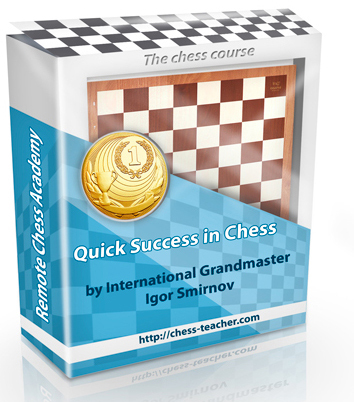 The book contains a variety of intermediate to advanced chess lessons. Students will find this book separated in 24 different lessons. The lessons are well explained and focused towards improving your skills. Some of the lessons are; Material Balance, How to gain Space, Pawn structure, Avoiding Disaster in the Opening, the Art of Planning, Queen Sacrifices, Fortresses on the Chessboard, etc. Due to all the different subjects, you could say this book covers a little of everything from start to finish of a chess game. Though not a complete course on chess, I believe these to be valuable lessons for chess development. In Conclusion, I would recommend this book to any chess player looking to improve their game. Kasparov Teaches chess is fun yet useful towards improving many aspects of your chess game. Hence it’s probably the best book if you are looking for some chess training and insight from Gary Kasparov. Hi and welcome to my Garry Kasparov Checkmate Tactics Review. This book was written by World Chess Champion Garry Kasparov and published by Everyman Chess in 2010. This book is a collection of chess tactics and puzzles with the aim of improving the tactical part of your chess game. Being a Grandmaster and World Chess Champion makes Garry Kasparov more than qualified to write a book about chess tactics. This book is for the intermediate player looking for some improvement with checkmates. Checkmate Tactics has just under 100 pages making it a short yet fun read. I purchased this book because I noticed right away and it seemed well designed.This book starts off with a well illustrated hard cover. What is a little shocking is that the inside of this book is as beautiful as its cover. It comes packed with plenty of very colorful diagrams and pages. I believe that this book makes good use of its diagrams and color scheme to help you absorb the material more easily. The tactics are grouped in themes that are well explained as well as easy to learn because of all the illustrations. Students will find this small book densely packed full of useful information. Garry Kasparov explains everything very well, as a result you should be able to apply all the concepts in your games fairly easily. You will find all the chapters come with puzzles and useful tips. Players will find everything well organized with the solutions found at the end of the book. The smooth transitions between chapters will help you understand the concepts before moving forward. In conclusion, I would recommend this book to intermediate players who already know how to play chess. This book is for someone looking or an easy read and quick development. This book can be a useful tool for training in the endgame as well as checkmates. I hope you have enjoyed reading m y Garry Kasparov Checkmate Tactics Review. Hi and welcome to my Teach Yourself Visually Chess Review. Book writers and publishers should take note; this is how a chess book should look like. Teach Yourself Visually Chess was written by Jon Edwards a US correspondence chess champion and International Master. This book is can teach you the basic pieces, their movements and the fundamental rules of chess. It is for someone who would like to learn chess and has little to no previous chess knowledge. Teach Yourself Visually Chess is full of chess diagrams all in color. This is a good learning tool with chapters that transition smoothly to the next. With each diagram, the moves and tactics are very clear. Each page also has plenty of useful tips corresponding with the subject matter. This is probably the easiest chess book I have ever read. The visual diagrams that go with the training are helpful as well as easily absorbed. I believe you will be able too teach yourself everything you need to start playing chess with this book. There is a little about the strategy, on how to use every piece, a bit of opening strategy as well as middle game strategy. There are even a few attacking themes and elementary checkmates. I find the visuals of this book very appealing and it makes it into quite a fun read. I definitely wish that all chess book were so beautiful with such great color diagrams. In conclusion, I would really recommend this book this book to someone who would like to learn chess or to someone who has just started to learn chess. Even if you are an advance or intermediate player I would recommend that you pick this book up to give to someone you know who wants to learn chess. For a more advanced visual chess book check out my Advanced Chess Review. Finally, I hope you have enjoyed reading my Teach Yourself Visually Chess Review.